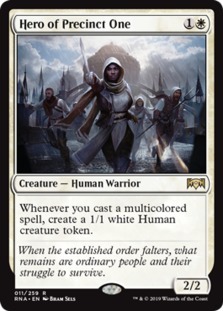 We're back with another sweet Hero, of Precinct One list! This week we're going to be playing a list piloted by Arianne to a sweet 5-0! Are you a fan of decks with Young Pyromancer? Well, this is the perfect deck for you. You can still play the tempo game but also shift to a midrange deck. Hero of Precinct One allows us to go wide quite fast if it's not killed immediately. 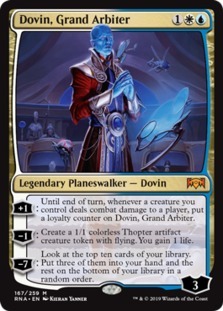 This card is an all-star and doesn't really require us to really warp the deck around it as we're already casting so many multi-colored spells. 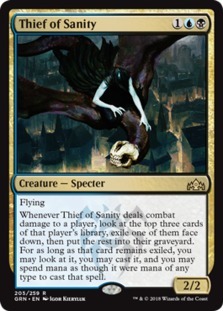 I'm a huge fan of this deck more than the Bant tokens idea as we have disruption in Thought Erasure and a very scary threat in Thief of Sanity. It's nice to rip the board wipe or removal spell to clear the path for our hero to hit the board or to stay around thanks to Thought Erasure. 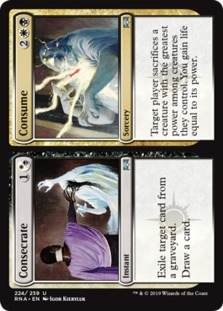 Along with Erasure, we have counterspells in Absorb which will be critical in us gaining life and producing us tokens! Thief can run away with games after it connects twice. Although it's on a 2/2 body, the whole deck has threats that can stretch our opponent's answers thin. Just be careful not to overextend into a board wipe. 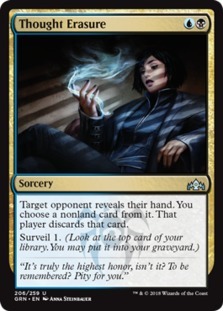 I think I would like to add another Thief of Sanity to the deck as the card's upside after untapping with it are absurd. The deck also has a real tough time after falling behind on board so trying to 1 for 1 won't catch us up. 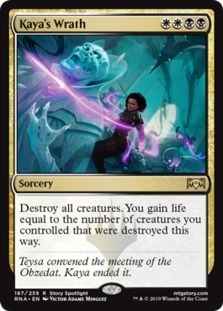 We need something like Kaya's Wrath in the main deck to help clear the board even if it means sacrificing ours. 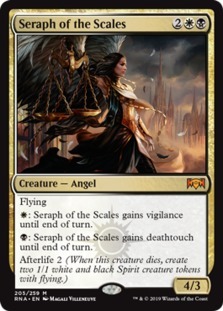 Also at the four-drop slot, I think it'd be extremely beneficial to add Seraph of the Scales. 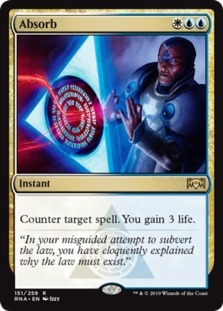 The card is a way to still have threats after a board wipe and being a 4/3 it survives Cry of the Carnarium and leaves something behind after the board is wiped. It also pressures opposing the Vivien Reid because even if they use Vivien's -3 you still have two fliers to come in and finish the job. The build currently is a bit soft to decks going wider and lacks a way to catch up but by adding a few board wipes, we can remedy that situation. Otherwise, the deck is a lot of fun and has a ton of power. As of right now, this Esper deck feels like a perfect home for Hero of Precinct One. I'll definitely be playing more of this deck online to see if I can get the list tuned more to my liking. We couldn't reproduce the results that Arianne got. But we still came out ahead and I couldn't be happier!